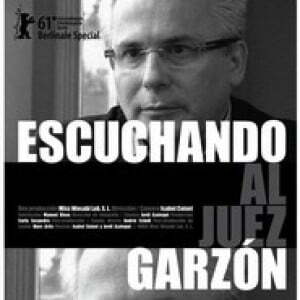 The celebrated Spanish Human Rights investigator Baltasar Garzón was convicted in February 2012 by Spanish supreme court for his enquiries over the systematic repression of Franco’s iron-fisted regime alongside his will to uncover the biggest corruption case in modern Spain involving, among others, the Prime Minister’ Mariano Rajoy’s People’s party. This documentary by internationally recognized Catalan-born filmmaker Isabel Coixet -Goya Awards 2012 winner for Best Documentary- represents a unique opportunity to approach a case that rose anger and attention from worldwide human rights groups and the United Nations in equal fashion. This event will be enhanced with an introduction to the consequences of the Spanish Civil War in modern Spain by Edinburgh-based author Daniel Gray (Homage to Caledonia: Scotland and the Spanish Civil War ), and will open the wider Catalan Film Festival CinemaAttic 2012.